Tom and I just returned from the 2015 International Gideons Convention. 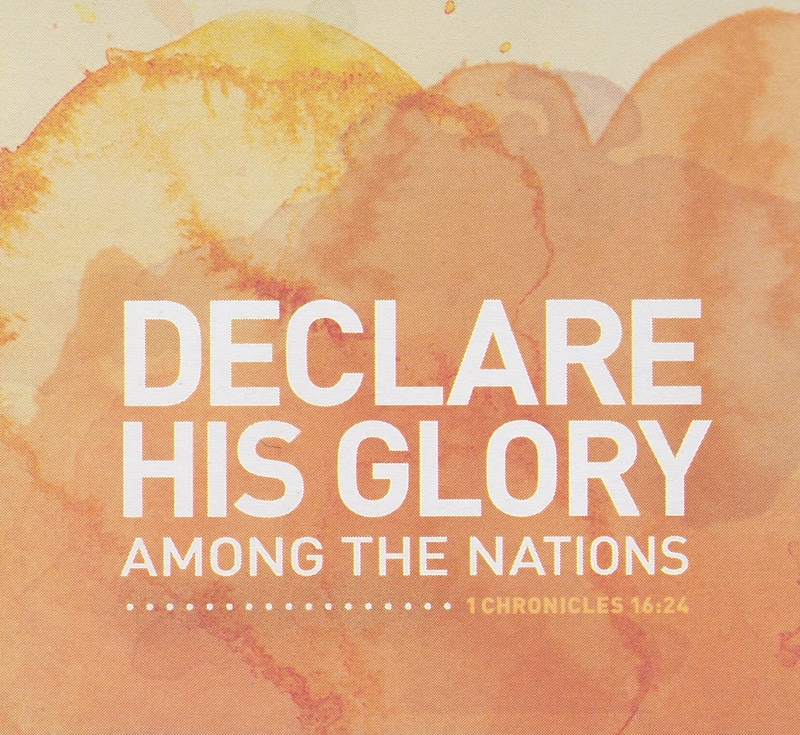 The theme this year was 1 Chronicles 16:24–Declare His Glory among the Nations! While there, I celebrated the one-year anniversary of God’s gift of healing to me. As I look back, I see it as a year of declaring God’s glory in my life. I first shared my healing with my church family by writing an article for my church newsletter. Several speaking opportunities both inside and outside of my church presented themselves. Seven weeks after my healing, I declared God’s glory to another one of my doctors, the transplant doctor who had followed me since my transplant evaluation in 2010. She saw the evidence as she spoke with me and heard the evidence as she listened to my lungs. That day, after telling me that my team of doctors had met and decided it was time to begin the transplant process, she closed my transplant file. In August, I had contact with an editor from Decision magazine during Franklin Graham’s Festival of Hope crusade here in Pittsburgh. I had contact in both August and October with folks from our local Christian TV station. The editor of our Gideons International publication contacted me. And in June, a very rough outline of the book I’m planning to write about my healing, life after healing, and the issues and questions that arise from such a life-changing event caught the eye of a literary agent who will be working with me to develop the book and sell it for me. Last year was a time of declaring his glory while waiting, listening, and learning about my new life and the call that came with it. Now that I have the medical documentation needed for the media contacts and the interest in my book, I look forward to giving God the glory in ways that I pray will touch more hearts and lives for Christ. This will be a year of moving forward, actively and in faith, into the call on my life to Declare His Glory in larger and ever-widening circles. I am here, Lord. Send me.